– Reduces the formation of deposits in the combustion chamber at higher temperatures (high resistance to thermal degradation). Higher resistance to oxidation and nitration. 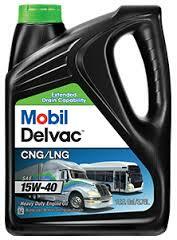 An example is the wide range of oil Mobil Pegasus. Use a special engine oil for gas or not is debatable. In case of the installation of LPG equipment, we recommend to use the oil, which is recommended by manufacturer. Moreover, many people only partially waive gasoline, and return to it as needed, for example, in the absence of gas, or to start the engine in cold weather.